The title sponsor has truly come up trumps today. Stormforce Gaming is giving away a PC base unit comprising a Cooler Master Masterbox Lite 5 RGB chassis, liquid-cooled Intel Core i5-8600K CPU, Asus Z370 TUF Plus motherboard, Asus GeForce GTX 1080 Turbo graphics card, 16GB Kingston HyperX Fury DDR4-2400 memory, WD Black M.2 PCIe 256GB SSD, WD 2TB hard drive and FSP 500W PSU. The competition winner will be picked at random from all eligible entries that arrive by 09:00 London time on the closing date, January 1, 2018. 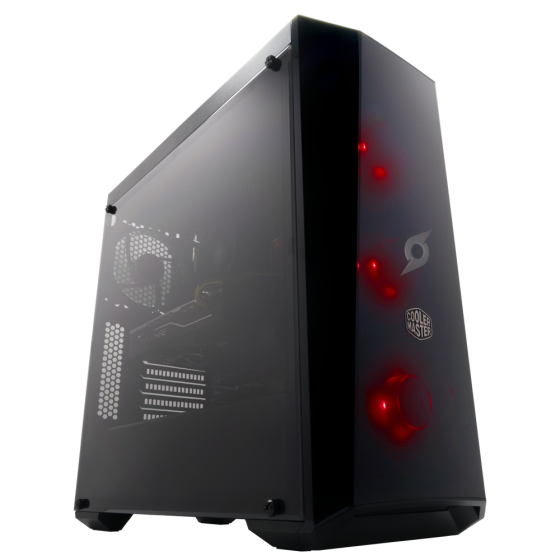 The prize is a Stormforce Gaming PC comprising a Cooler Master Masterbox Lite 5 RGB chassis, liquid-cooled Intel Core i5-8600K CPU, Asus Z370 TUF Plus motherboard, Asus GeForce GTX 1080 Turbo graphics card, 16GB Kingston HyperX Fury DDR4-2400 memory, WD Black M.2 PCIe 256GB SSD, WD 2TB hard drive and FSP 500W PSU. Please Santa bring me this.